The Ofi Press Magazine - Ford, April L.
I ate at a Chinese buffet. when the nurses turned you to soothe your sores. I ate ten dollars of vending machine food—each item cost a dollar twenty-five. which made you forget the pain you couldn’t feel thanks to the morphine. to inherit your terminal restlessness as penance. so I burdened you for nine days while you already carried the burden of dying. cooled your fevers with recitals of the past. and now the do-overs are over. I smelled your end-of-life scent. I fantasized you were yelling at me to take better care of myself. “Death is a side-effect of MSG!” you said. After you passed, I held you until the crematorium servicemen arrived. I kissed you goodbye and it was like kissing marble. how to celebrate your life. 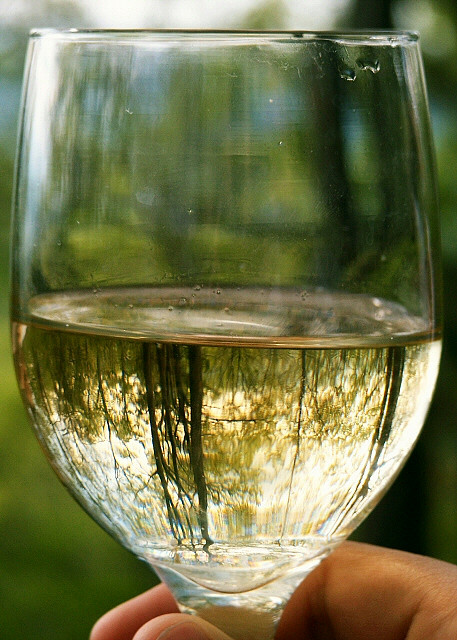 Image by Jessie Hart, entitled: "Trees in a wine glass".